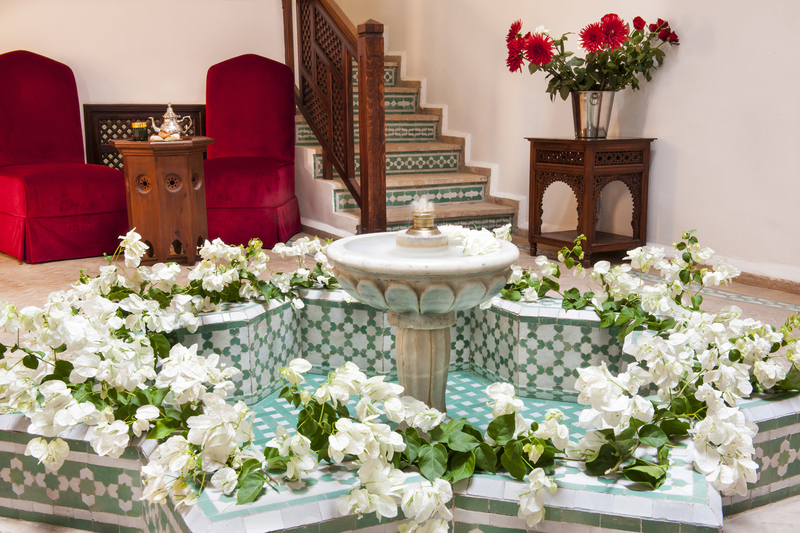 La Maison Blanche in Tangiers is one of those hotels which is a true labour of love. Aziz Begdouri from Morocco met and fell in love with Spanish Pilar Rodriguez Gonzalez, whilst they were both studying at university in Malaga. 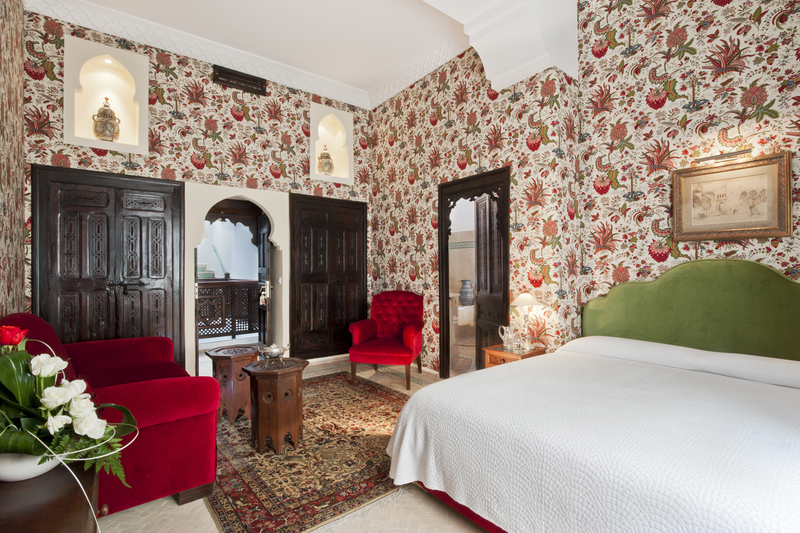 Now married with two boys, their third baby is an impeccable riad hotel: La Maison Blanche. Our crew made three visits to the hotel to complete the photo shoot. Location, location, location: the riad is located at the highest point of the old fortified city or Kasbah, which stretches up the hill overlooking the sea. 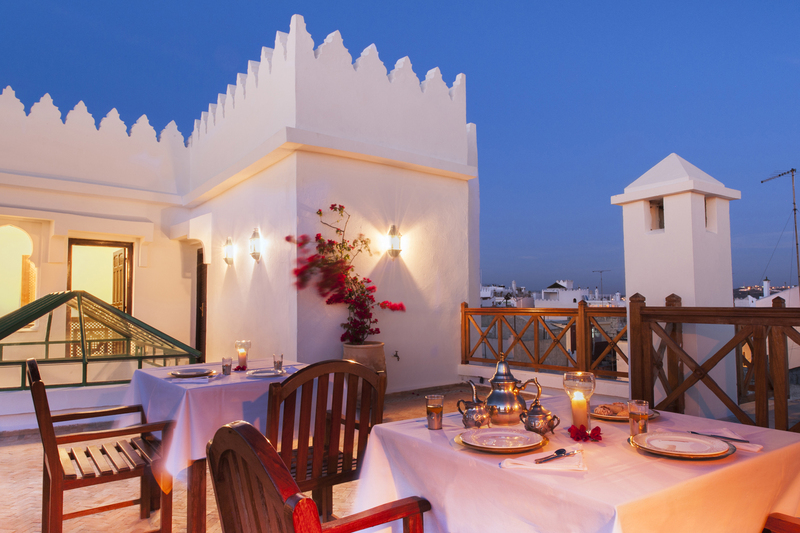 La Maison Blanche is a few metres from the medieval entrance gate and offers spectacular views from the roof terrace. 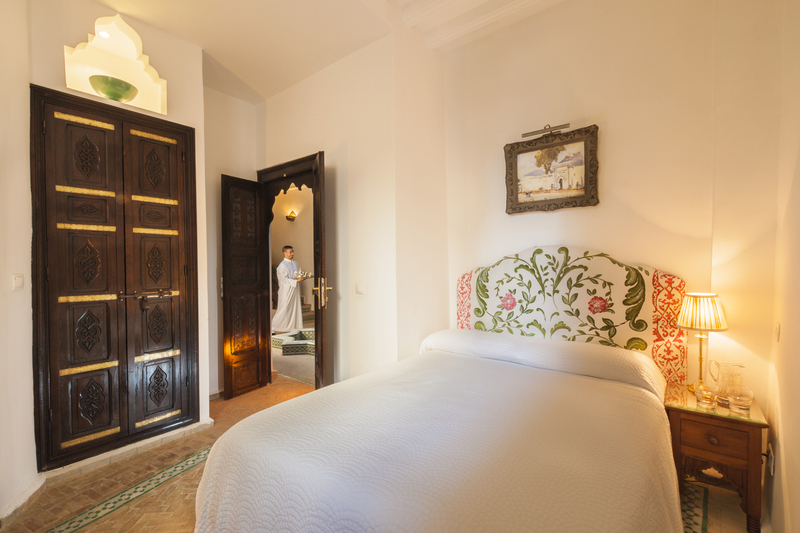 Literally on the doorstep of the hotel are the narrow, winding streets of the Kasbah, just waiting to be explored. Many hotels forget how lucky they are to be located in a particular destination. 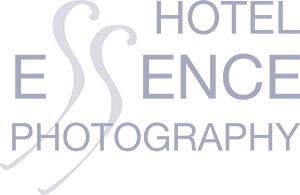 I have written many a blog post and delivered a number of speeches on the importance of highlighting not only the hotel, but also the destination itself – its history and key attractions. 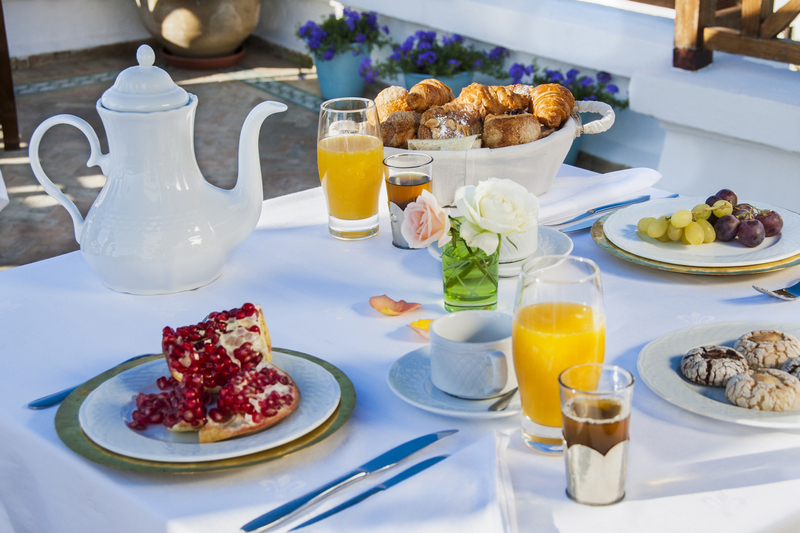 This is not the case with La Maison Blanche, who also commissioned our crew to photograph monuments and interesting spots to visit within a short stroll from the hotel, including the Kasbah and the souk, as well as worthwhile day-trips to Asilah and the blue village of Chefchaouen. 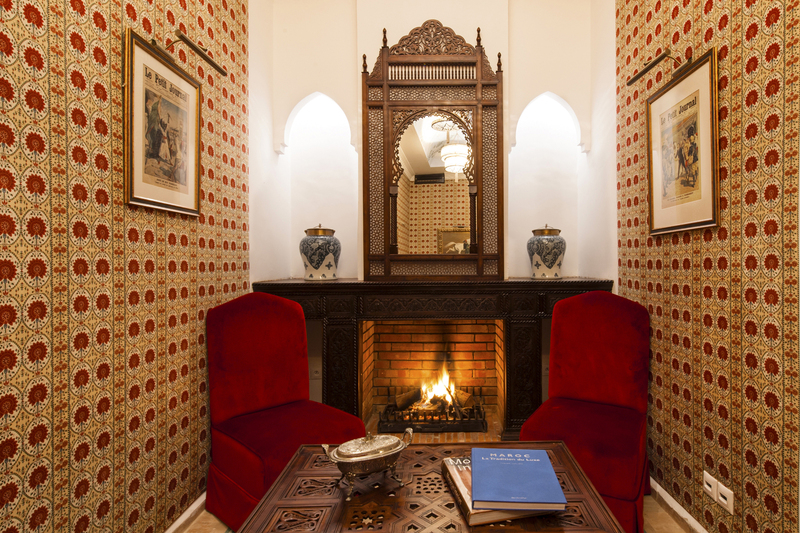 The interior design project was created by the late French designer Regis Milcent, and one of the nine rooms is named in his memory. He used neutral tones in the patio as you first enter the hotel, with minimalist decoration. 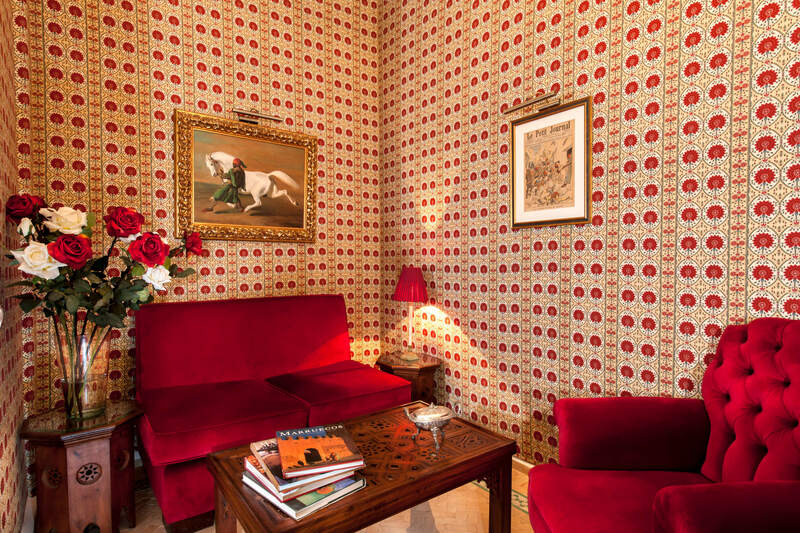 Then you walk into the snug and are met by rich, regal red covering all surfaces – exquisite silk wallpaper and velvet sofas that you can sink into. 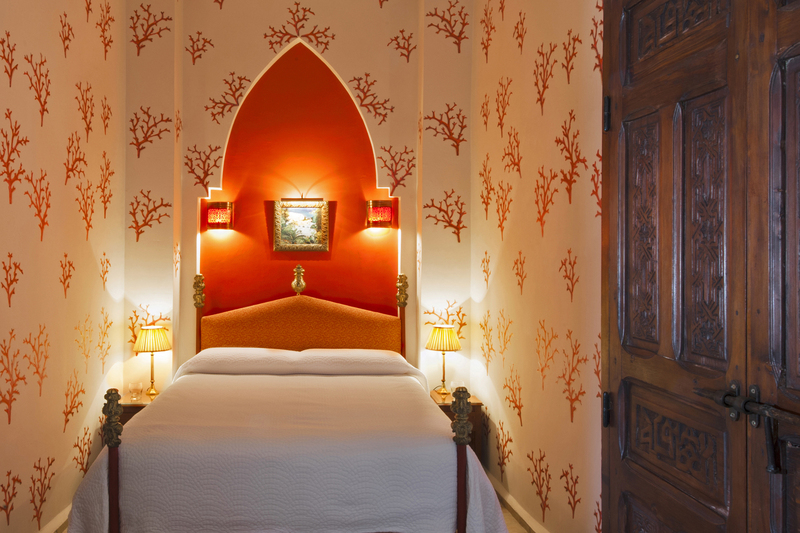 Each of the nine rooms in the hotel has its own individual striking colour scheme, with complementary lighting and furniture. From a photography point of view, this means that apart from fresh flowers, everything is ready to be captured on camera – no need for extra props. 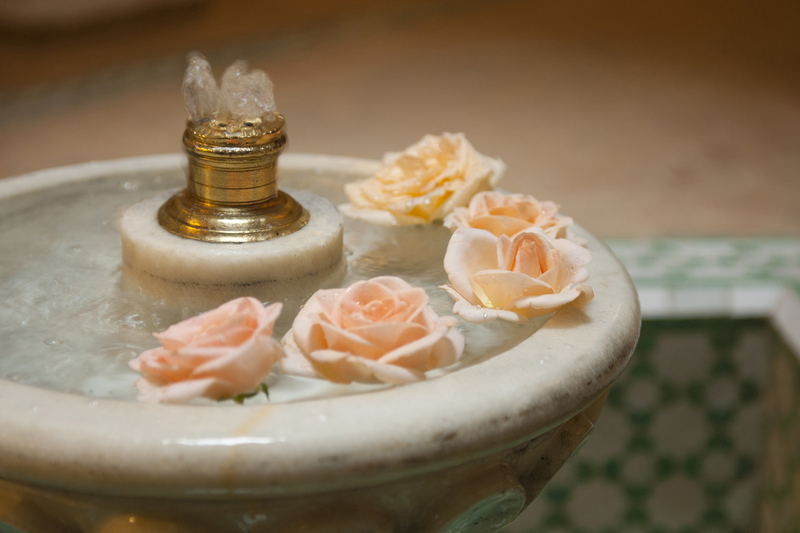 Morocco is known for its roses; I believe that hotels should choose flowers that remind you where you are in the world, one of those “Take Me There” factors essential to this type of photography. 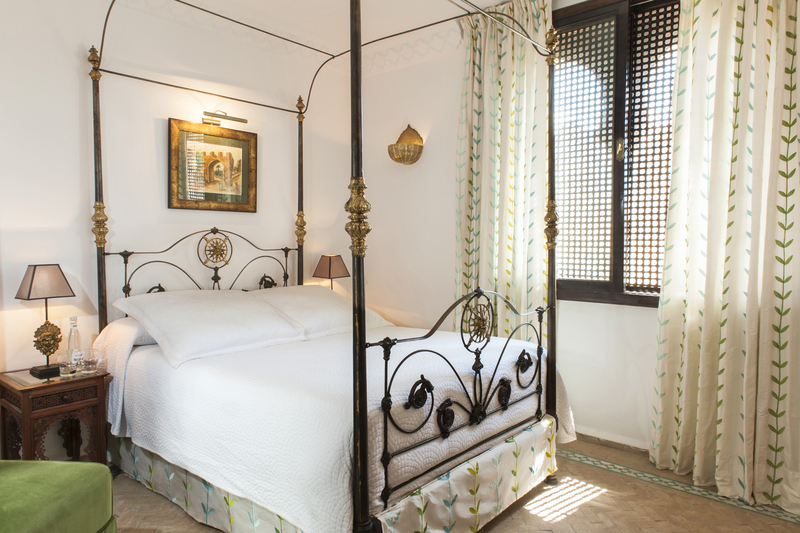 With only nine rooms, the riad will always be exclusive, and this is reflected in the photography. 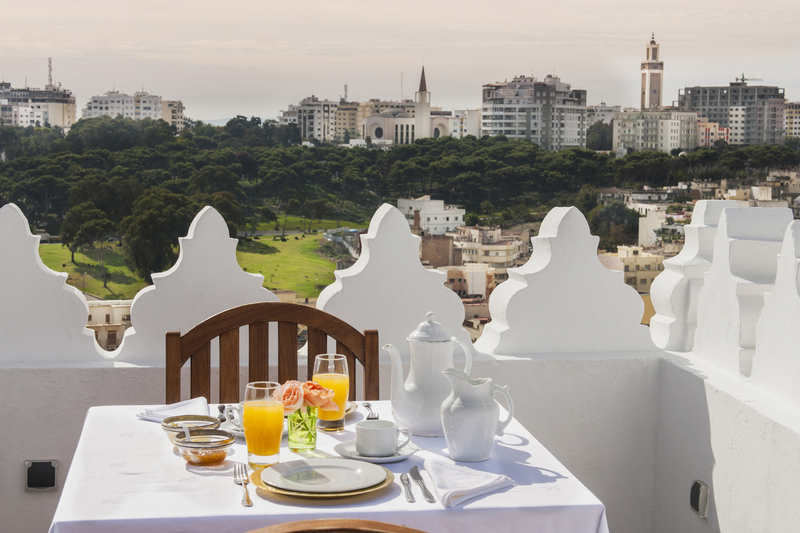 The highlight is its roof terrace, where you have 360-degree views to the Mediterranean and the city of Tangiers, with minarets and church spires standing alongside each other. 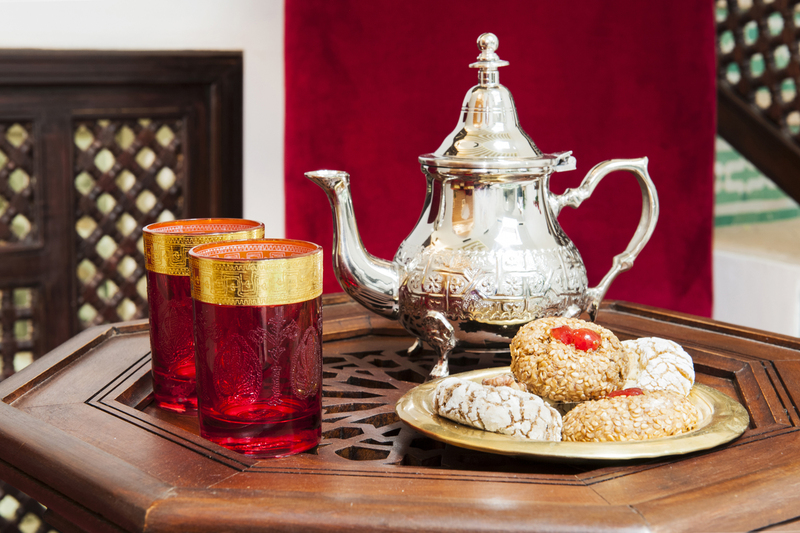 It’s here that a lavish breakfast banquet is served in beautiful Moroccan handmade ceramic dishes each morning. 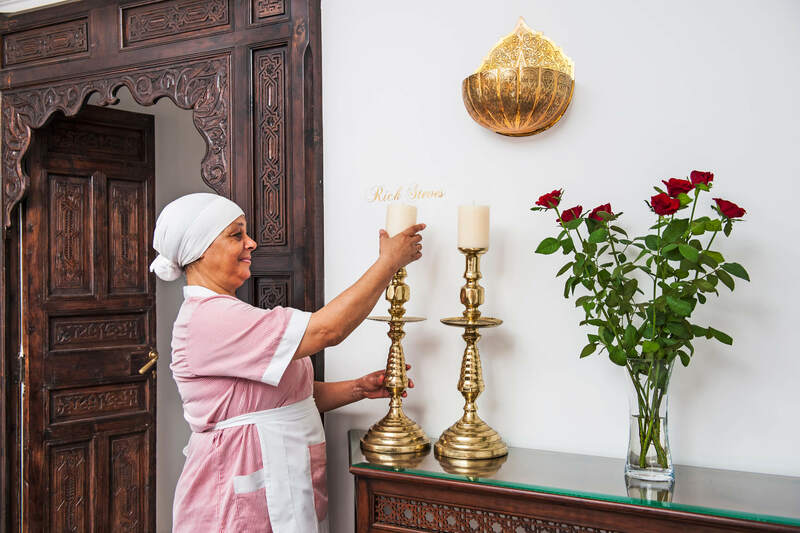 The staff have lived through the painstaking renovations of the property and have a strong sense of pride in their work, with everyone contributing towards a common goal of making this boutique hotel the best secret hideaway in town. 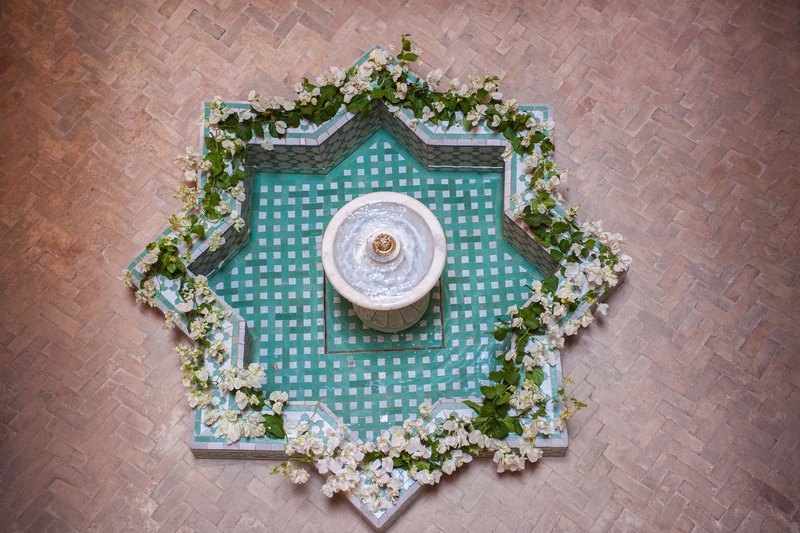 All of these details, from the silver teapots and the trickling tiled fountain in the main patio, to the caring, dedicated staff, were included in our shoot. 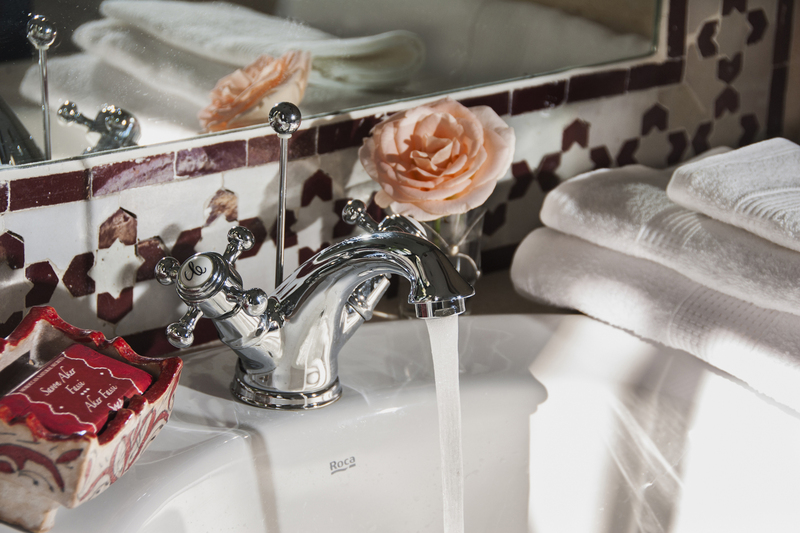 It´s the details that portray the essence of the hotel. 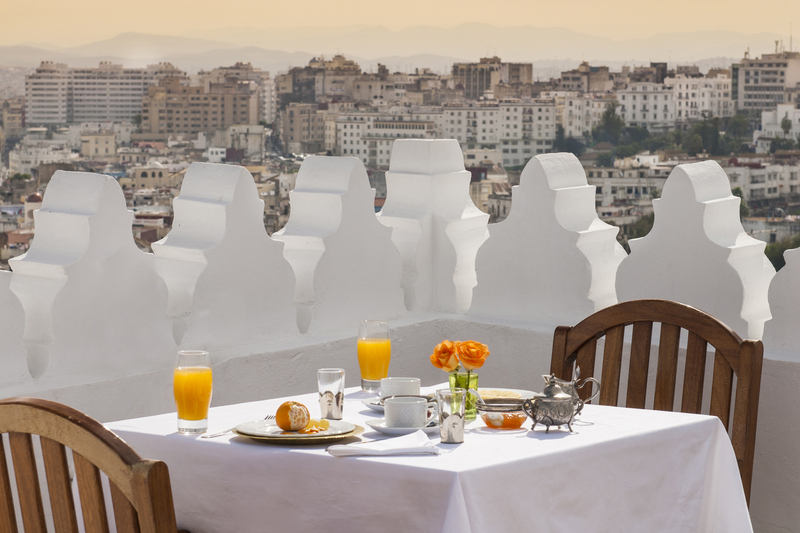 One evening I returned to the hotel as a guest and stood on the roof terrace watching the sun go down, intoxicated by the aroma of jasmine and listening to the sounds of Tangiers, the call to prayer from nearby mosques. Another guest approached me – a lecturer from a Californian university – and we were both mesmerized by the scene. Then he turned and said to me: “I chose this hotel because of the photos; I had to come and see it for myself”. I smiled – this was a huge compliment; as a photographer you rarely have the time to return to a place you’ve previously captured on film and hear such comments first-hand. But I only nodded; this wasn´t the moment to tell him that it was I who had taken the photos. 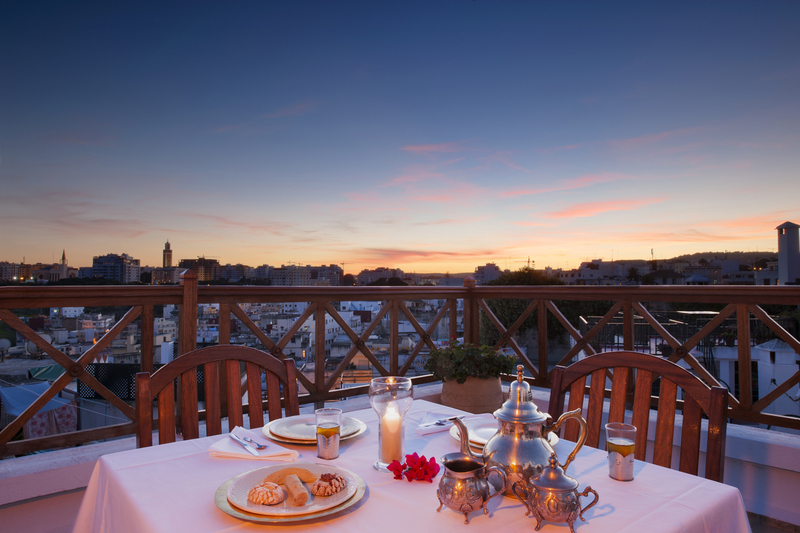 That was my own secret satisfaction as we shared a pot of mint tea and watched the sunset from the roof of La Maison Blanche.